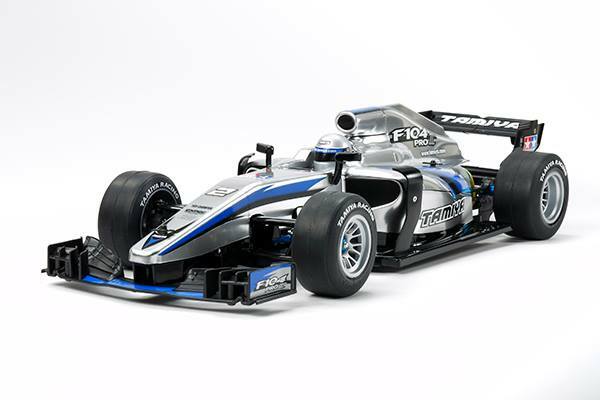 Tamiya has released a new picture of the anticipated F104 Pro II. This is an evolution of the earlier chassis and will be available at the end of the year. Importantly Tamiya has also made a new shell based on the latest F1 styling trends, excellent to get that scale look for all F1 racers. Here is the blurb from Tamiya. This original Formula One kit is an evolution of the F104 Pro chassis first introduced in 2009. The Pro II has received refinements to enhance your R/C formula racing fun. The Pro II pairs the lightweight and streamlined direct drive F104 chassis with a new lower deck, and upgrade parts, giving a sharp and responsive driving feel. Furthermore, it includes an all-new original body design based on the 2017 F1 car bodywork and wing dimensions!